Adorable Panda Bedding Sets for Sale! Welcome fellow Panda lovers! How are you today? Yesterday I was looking around for some Panda stuff and could not believe my eyes when I saw all the Panda bedding sets for sale! 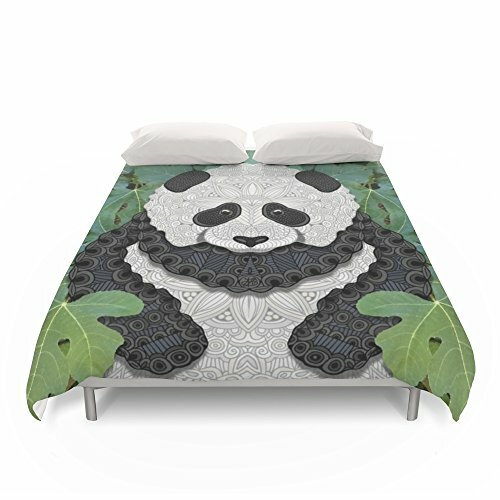 I immediately decided to start this page, thinking about all the Panda lovers out there who (I assume) would also LOVE to have a very cool and unique Panda print bedding set in their bedrooms! 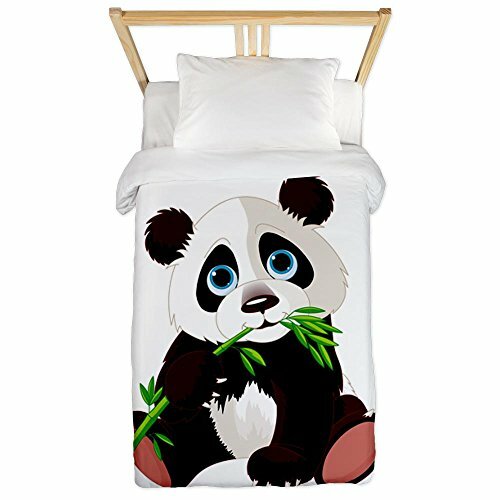 I’m going to start my selections of cute Panda bedding with this adorable and very realistic 3D print baby Panda playing on a tree 6-piece queen size duvet cover set for sale! 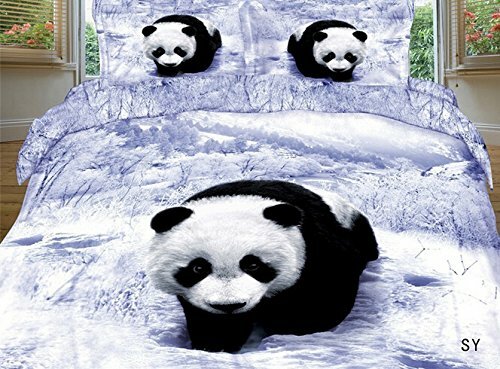 Beautiful Black and White 3D Panda Pattern Bedding Set! You will get the fun Panda duvet cover, one flat sheet and two cute matching panda pillow cases! 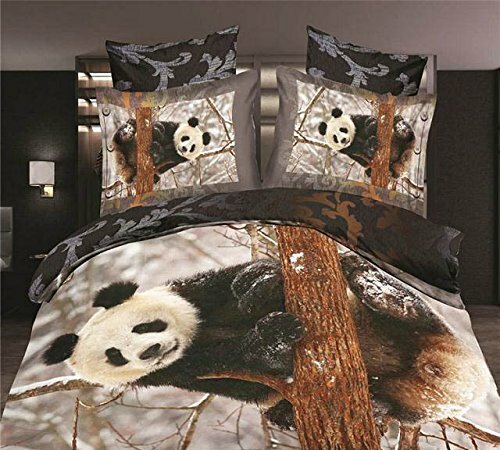 How’s that for a panda lover’s bedroom? Another cute and adorable black and white Panda print bedding set for sale! The baby Panda is rolling on the grass and having the time of his life! 🙂 How about bringing him to live on your bedroom? Cute Glow in the Dark Panda Bedding Set for Girls! The full size comes with two pillow shams and one flat sheet. 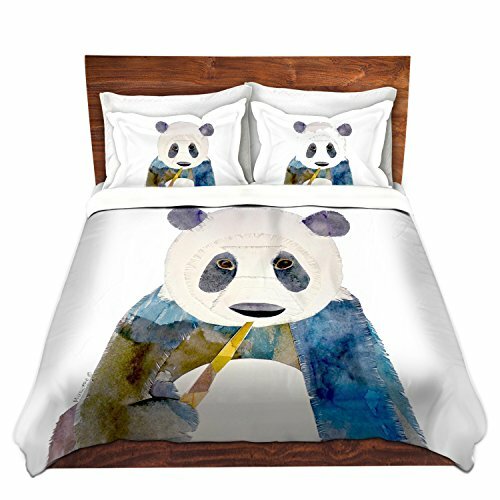 Gorgeous Pandas 3D Print Duvet Cover Set! You will get the queen size duvet cover, the flat sheet and the pillow cases. 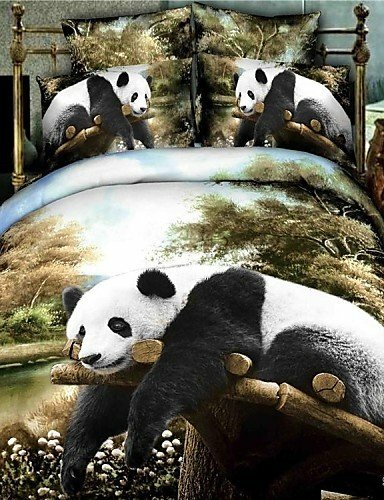 Stunning 3D Oil Painting Full Size Panda Print Bedding Set! Look who is relaxing in the wild by a river! A giant Panda bear! 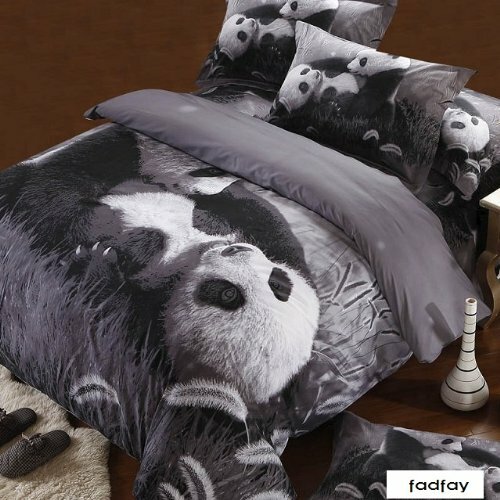 What a gorgeous Panda duvet cover set for sale! 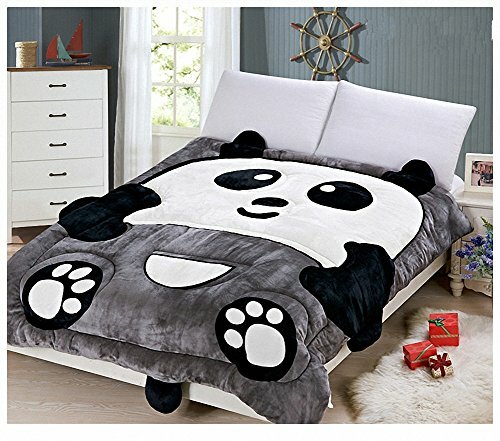 Adorable Black and White Panda Comforter for Kids! How absolutely adorable is this black and white Panda design comforter for kids? Look at his tail sticking out! This comforter is also very soft and fluffy! Just get two black or white pillow covers to match it and you are all set! 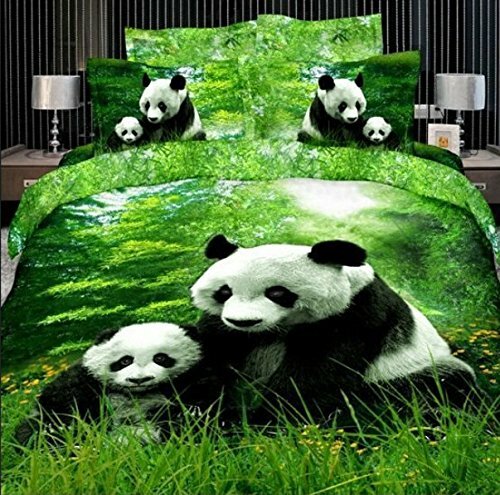 This is another beautiful 3D Panda print bedding set for sale! It’s available in three bedding sizes! Adorable Cartoon Panda Duvet Covers! He seems to be chewing on a bamboo and just looking adorable! 🙂 Lovely soft colors as well! 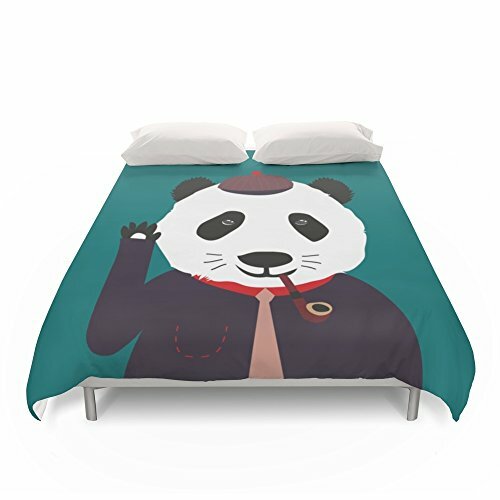 Fun Cartoon Detective Panda Duvet Cover! I also love the strong green background! It stands out! 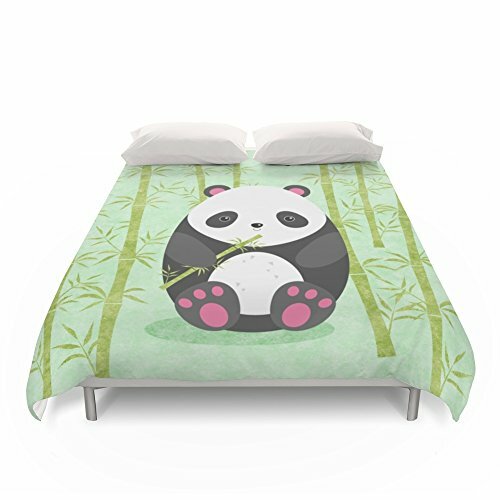 Cute Panda Bear Eating Bamboo Twin Duvet Cover! Isn’t he the cutest baby Panda bear eating bamboo you have ever seen? 🙂 Look at those blue eyes! How can we resist? 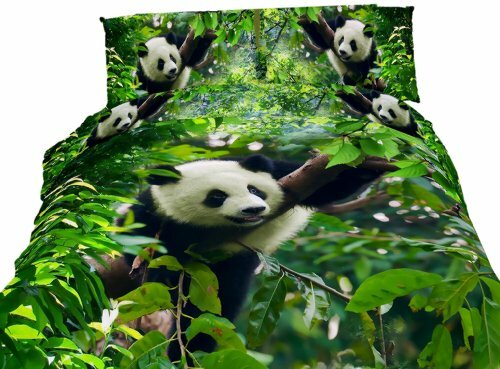 Very Unique Panda Design Duvet Cover!